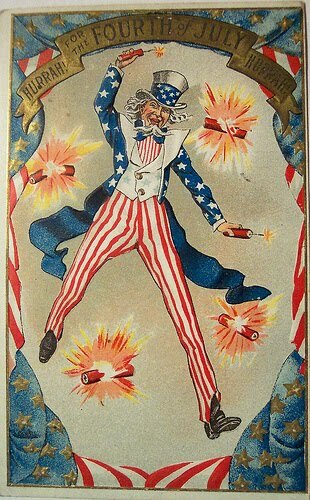 I hope everyone has a wonderful Holiday weekend. We have lots of BBQing planned, beach going, pea picking and salsa eating( all ingredients from the garden). YUMMY! I love fresh veggies. I also plan on doing some of this. for becoming my FIRST follower. YIPPIE! Also thank you to Melinda at Alabaster Rose Designs. Have a wonderful 4th of July weekend doing what you enjoy surrounded by those you love! 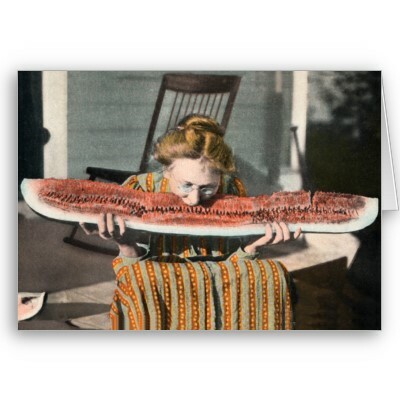 Great photo of the old woman eating a 'slice' of watermelon!